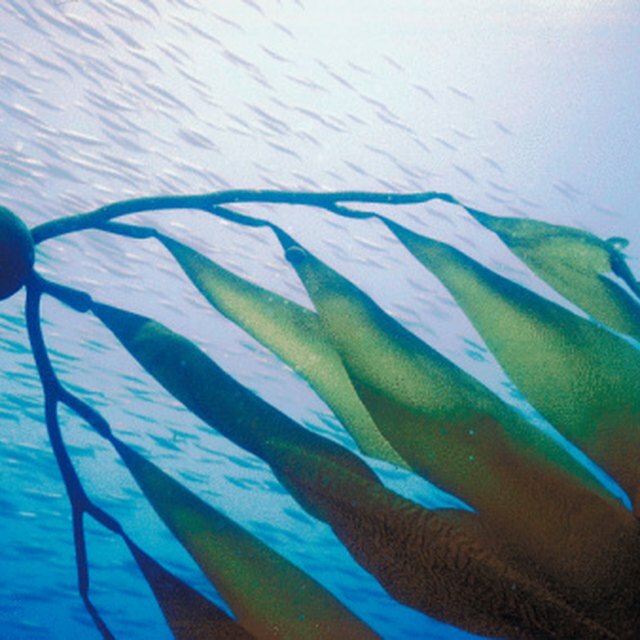 Vegetation plays an integral role in coral reef ecosystems. The main types of vegetation in coral reefs are seagrasses and algae. Plants and algae are producers; all other living things in a coral reef depend on them for survival. Coral reefs live in warm, tropical sea water all over the world. Many reefs are found in the Caribbean Sea and South Pacific. Large coral colonies live off the coast of the Florida Keys, Hawaii and Australia. There are two main types of vegetation in coral reefs: algae and seagrasses. They both use sunlight to make their own food through photosynthesis. These producers are the basis of the reef food chain. Several types of algae live in coral reefs. They all provide food for other organisms in the reef. Blue-green algae process nitrogen in the reef ecosystem so that other organisms can use it. 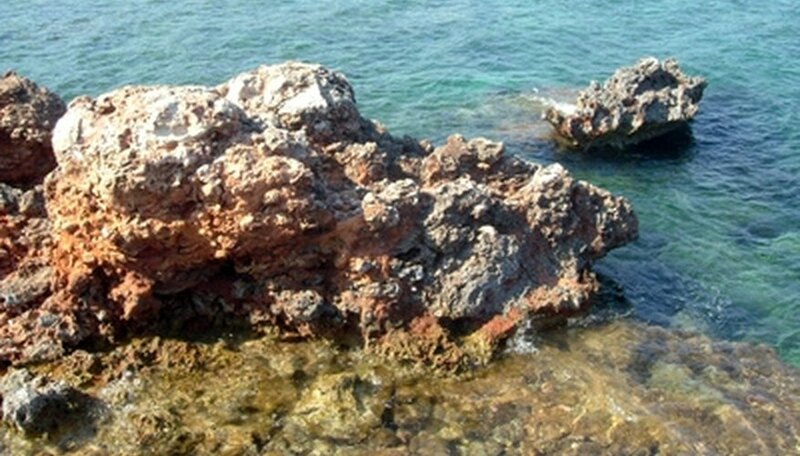 Coralline algae, a type of red algae, produce calcium carbonate which provides structure to the reef. Seagrasses are also producers. Unlike algae, they are true flowering plants. These grasses provide shelter for many species of young reef animals. The stems of seagrasses grow underground and act as a filter to trap sediment in the water. They also help prevent erosion by anchoring the plant on the sea bed. All consumers in a coral reef ecosystem depend on plants and algae. They provide animals with food, shelter and oxygen. If reef vegetation does not thrive, the reef ecosystem may fail. Conversely, an overgrowth of algae could harm live corals. Pond, Alissa. "What Type of Vegetation Is Found in Coral Reefs?" Sciencing, https://sciencing.com/type-vegetation-found-coral-reefs-5519810.html. 24 April 2017.